Everyone’s had that stomach-churning experience of trying to purchase a new pair of glasses in a physical store. Whether it was your parent or spouse forcing you to try on every pair or the obnoxiously loud-mouthed person talking on their phone, most of us are no stranger to these upsetting attempts at purchasing new eyewear. Overall, online shopping is continuing to trend upwards—in part because of the above grievances. In fact, this year’s Cyber Monday generated $5.65 billion dollars, a 16.8% increase from last years online shopping extravaganza. Although this trend may be no surprise to digital consumers like yourself, you may be surprised to hear that only 5% of glasses purchased in the United States are bought online. Online retail eliminates the costs associated with the “middlemen” required for brick-and-mortar shopping. Why drive all the way to your local glasses shop just to spend upwards of 250% more for the same pair of glasses you could have delivered to your front door? Brick-and-mortar stores are limited in how many frames they can display, simply due to their sheer physical size. On GlassesUSA, you can view more than 3,500 unique frames, browsing every size, shape, material, and style from leading brands with just the click of a mouse. In retail, many employees work off commission or are trained to pressure you into a purchase. In fact, 62% of private practice optometrists’ income comes from selling prescription eyeglasses and contact lenses. It’s practically impossible for clerks to remain impartial when a more expensive pair of glasses could equate to a higher salary. When you’re shopping online, you’re free from the pressures of the retail environment to try out as many frames as you’d like. Reputable online retailers like GlassesUSA get their frames and lenses from the same warehouses and designers as brick-and-mortar stores. You can hook yourself up with a pair of Ray-Ban, Oakley, or Tom Ford glasses without breaking the bank, whether you’re shopping for non-prescription frames or high-quality progressive, bifocal or transitional lenses. Why travel all the way to the store to take a selfie of yourself with your new lenses? “Virtual mirrors” provide the same tools to check your style from the comfort of your couch. The process is simple: upload your forward-facing selfie and add the frames you’re interested in purchasing for a realistic virtual image. For early birds and night owls, online retailers like GlassesUSA.com offer the benefit of customer service around the clock by chat or phone. They can help with everything before, during or after the purchase any day of the week, 24/7. 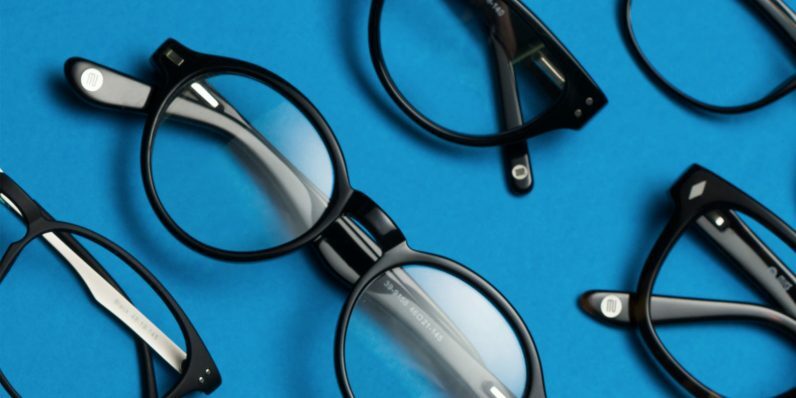 Perhaps best of all, GlassesUSA is offering The Next Web readers 50% off their first pair of glasses. That includes a 365-day warranty, free shipping and returns, and 100% money-back guarantee.